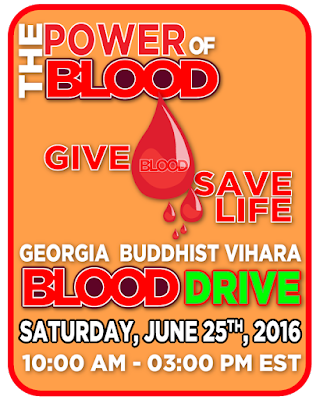 Poson Poya Program will be observed on the Saturday, Jun, 25th, 2016 from 7:30 am to 5:30 pm at the Georgia Buddhist Vihara. 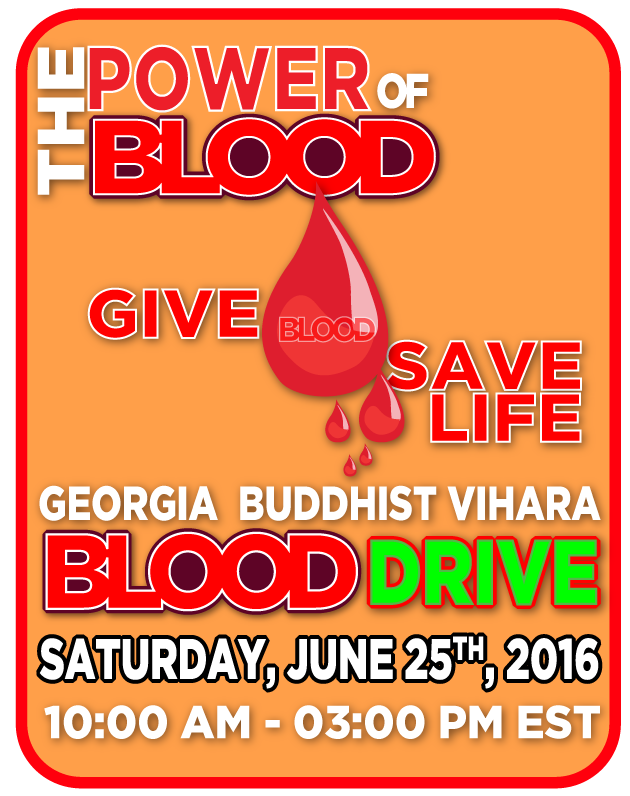 Our Dhmma youth friends are organizing a blood drive on the Posn poya day. We invite you all to join the program.